Cold winter weather calls for comforting, hearty soups. 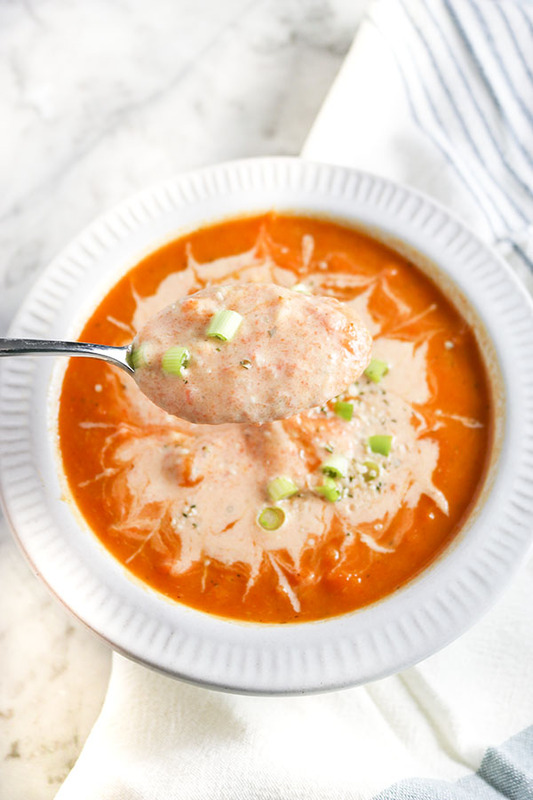 This Roasted Carrot Soup is sure to warm you up. Not to mention, its packed with healthy veggies (a.k.a. carrots), so you can get your daily source of veggies in without even realizing it! 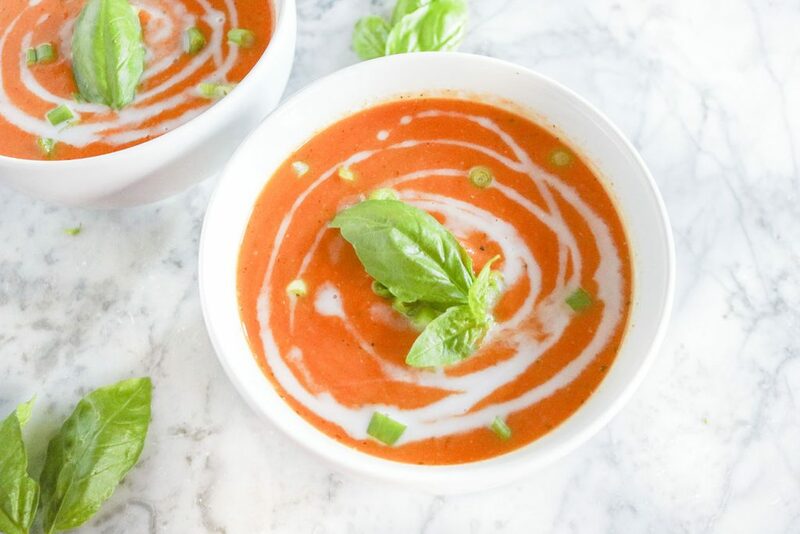 I absolutely love any soup – but I’ve realized, I much prefer a blended soup to a broth based soup (unless its ramen… because I LOVE ramen noodle soup). 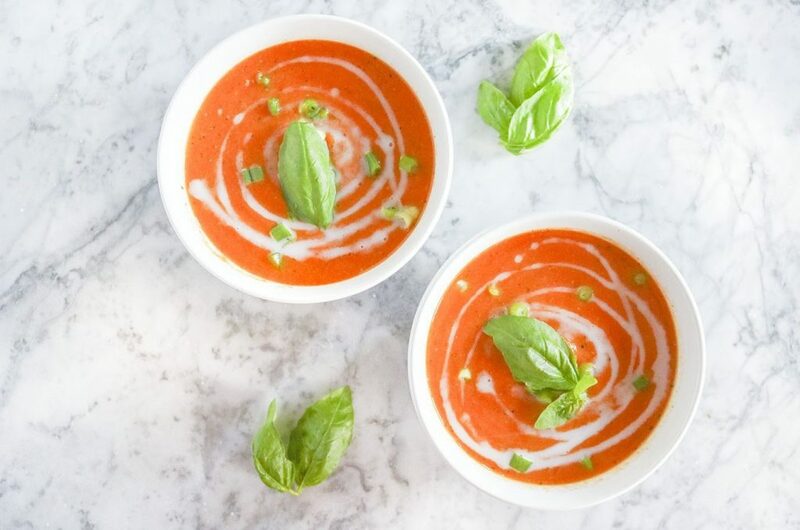 Otherwise, in terms of popular soups – sure chicken noodle is great, or a nice minestrone, but to me there is something so comforting about a blended soup – like potato leek, butternut squash, or even pea soup. This Roasted Carrot Soup is equally awesome. Blended carrots, onions, garlic, fresh basil, ginger and creamy coconut milk. Thick and rich with flavor, top it off with a dollop of sour cream to make it even creamier . 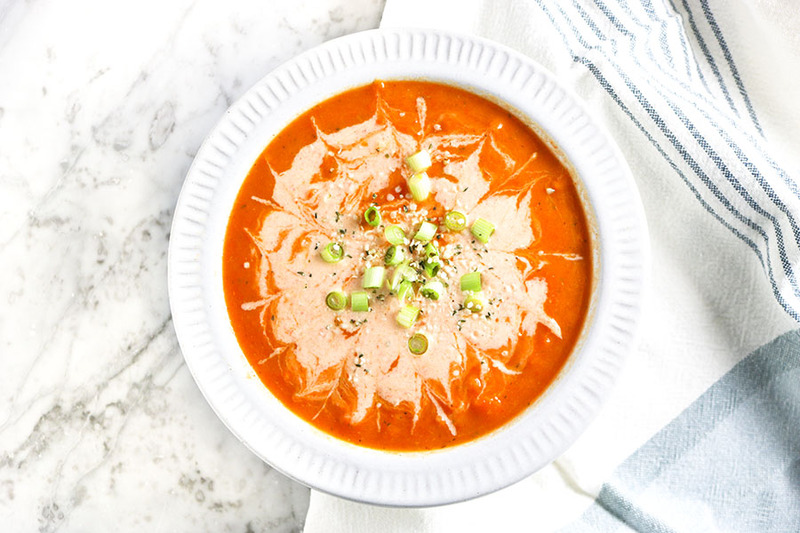 Roasted carrots, onions, garlic, fresh basil, ginger and creamy coconut milk, all blended together… This Roasted Carrot soup is delicious and nutritious. Preheat oven to 400F. Clean, peel and slice carrots, then place into a large bowl. Add onion, garlic, and olive oil. Toss ingredients to full coat. Add salt and pepper, then toss ingredients again. Pour ingredients onto a lightly greased baking sheet – bake at 400F for ~25 minutes, or until carrots have begun to brown and become tender. Add roasted carrots, broth, ginger, and basil to a large pot over stove – bring soup to a boil, then reduce heat and simmer for about 20-25 minutes. Remove from heat and allow to cool slightly. 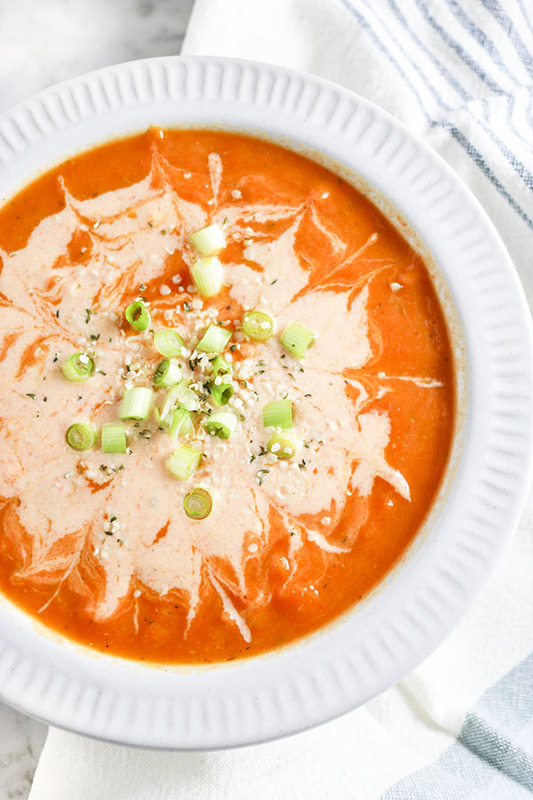 Use an immersion blender or food processor to pulse soup until smooth. Add coconut milk, pulse to combine. Storage: Refrigerate in an airtight container for 4-5 days. Freeze for 2-3 weeks.